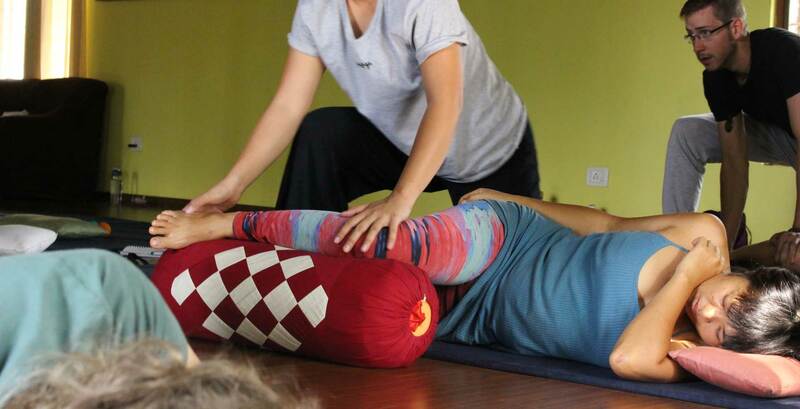 School of Thai Massage will be conducting it’s four day Weekend only Thai Yoga Massage basic training course starting April 27th, 2019 in Bangalore which will include delivering a Thai massage in Supine position. The objective of the course is to ensure that the practitioner learns not only the techniques of Thai Yoga Massage but also learns how to use these techniques from an anatomical perspective. At the School of Thai Massage, we teach with small class sizes so that instructors can give you personal attention. We believe this is essential to understand pressure, points, meridians, and angle which would be impossible to learn by just watching. Therefore we accept only limited students to our class and we also request you to support us in maintaining our quality standards. Seats are confirmed on a first come first served basis and there are no walk-ins. You can make a partial confirmation deposit via card or if you prefer you can also make a full payment. We are happy to accept either. You can also provisionally register via offline payment but if you choose that method your seat is not confirmed until you make your confirmation payment. We will remind you to complete your registration but if someone else makes a confirmation deposit on the last seat then that seat will go them. Thank you for understanding. Courses you are interested in?